A potential problem with a rocket thruster designed to keep the Philae lander from bouncing off comet 67P/Churyumov-Gerasimenko after touchdown Wednesday will make the probe’s daring descent even more challenging, officials said. The cold gas propulsion system, mounted on the top side of the oven-sized Philae lander, is supposed to engage and keep the spacecraft on the comet’s surface while it fires two harpoon anchors to mount itself on the surface. “We do have a problem with the cold gas system on-board the lander, but everything else is nominal and everything is go,” said Stephan Ulamec, who leads the Philae lander team at DLR, the German Aerospace Center. 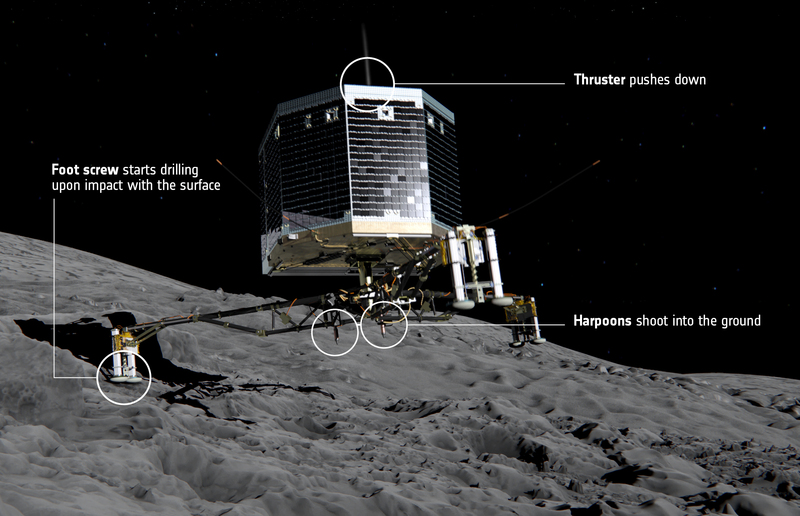 Engineers devised the cold gas thruster to counteract the impulse of the firing of the harpoons, which could nudge the lander off the comet after it descends from the European Space Agency’s Rosetta orbiter. 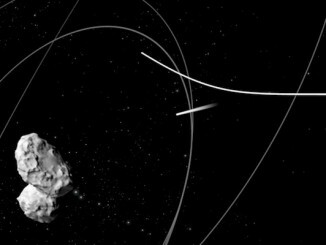 The lander carries the nitrogen-fueled cold gas thruster and harpoons to affix itself to the comet’s nucleus as soon as it detects its three legs have contacted the surface. The comet’s feeble gravity — one hundred thousand times weaker than Earth’s — is not strong enough for the lander to plop down on the ground like a landing on a planet. The comet measures around 4.5 miles long and 3 miles wide — about the size of a small city. Each landing leg also has ice screws to bore into the nucleus to add more stability after landing. 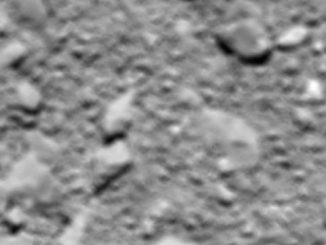 Fred Jansen, the European Space Agency’s Rosetta mission manager, said officials decided to press on with Wednesday’s landing because nothing could be done from the ground to fix the problem. Another landing opportunity was available later in November. “In principle, the ice screws should be enough if the surface is what we think it is,” Jansen said. Engineers tried using two redundant “pins” to pressurize the nitrogen cold gas system two separate times. During the four tries, Jansen said engineers saw a signal that the commands to pressurize the cold gas system were sent by an on-board computer, but telemetry did not show the expected rise in pressure inside the thruster’s plumbing. “We saw current go into the system, and should have seen a pressure rise in the piping but did not,” Jansen said. Officials said the thruster system carries a single pressure sensor, leaving open the possibility of an instrumentation issue. Preparations on the propulsion system were scheduled to begin late Tuesday. Despite the glitch, officials decided to press on with Wednesday’s landing. A final check of the trajectory of the Rosetta orbiter confirmed it was on course to release Philae at approximately 0835 GMT (3:35 a.m. EST). A radio signal confirming a good deployment of Philae should reach Earth about 28 minutes later at 0903 GMT (4:03 a.m. EST). It takes that long for light to travel the 316 million miles between Earth and the comet. Wednesday’s landing was already considered exceptionally challenging by experts, with the comet covered in hazards like boulders, steep slopes and ridges. “We need some portion of luck not to hit a boulder or touch down at one of the cliffs,” Ulamec said. 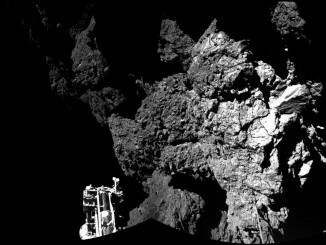 Assuming the lander touches down successfully, Philae is programmed to automatically begin a series of scientific observations. The lander’s instruments will collect panoramic imagery from the comet’s surface, map the mineral content of nearby rocks, and drill into the nucleus to extract a core sample for analysis in an on-board miniaturized laboratory.